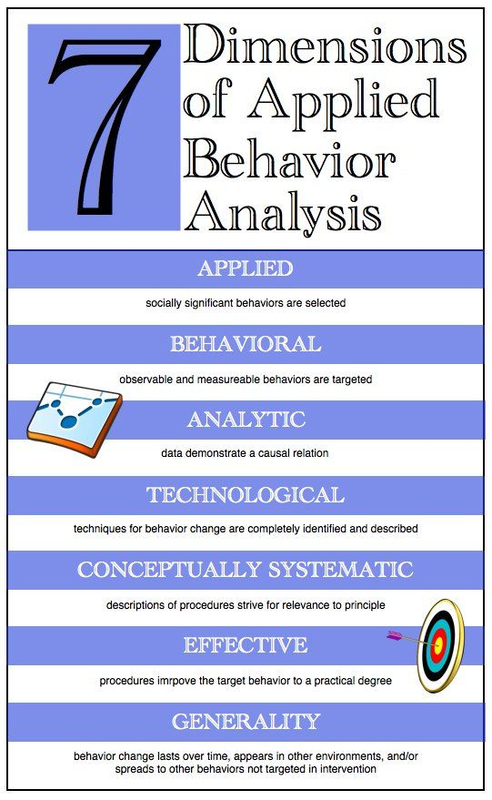 When a detective searches for a suspect’s motive, the detective is using behaviourist methods of analysis. The detective assumes that the suspect was stimulated by some arrangement of factors. Many courses in criminology are built around the fundamental premise that crimes are particular sorts of behaviour and best understood as the product of operant conditioning. Fraud examiners often use the same methods in approaching a case. When money is missing, the fraud examiner traces the known flow of funds and then asks, “Who had the opportunity and the motive to get at this money?” Even without being conscious of the fact, the fraud examiner is performing a behaviourist analysis on the crime. Ultimately, the question of fraud and behaviour comes down to this : what can we do about it? We know that people commit these crimes at an alarming rate. Incidents range from the clerk who skims a few hundred dollars off a business’s daily deposits, to multimillion-dollar scam artists who destroy entire organisations. There’s a world of difference between the skimming clerk and the scamming financial executive, so can we even analyse the two people within the same system of fraud? A fraud examiner working with behaviourist principles knows that the difference between crimes lies in the different behaviours. The man who plays million-dollar games with other people’s money is stimulated and reinforced by a distinct set of factors, and so, too, is the clerk who builds a family nest egg from his three-figure thefts. So when a fraud examiner is asked to go beyond crime-solving and to consult on fraud prevention, the job demands a thorough analysis of behaviour. It is important to think of employment as a system of behaviour because so much fraud occurs in workplace environments, which highlights the connection between economics and people’s actions. For both the crook and the dedicated worker, money exerts a powerful influence, and this is not likely to change. The resourceful employer, then, should consider the best way to establish a positive set of relations between employees and the funds flowing through the company. The more rigorously we understand how people behave, the better equipped we are to change the way they behave. Behavioural studies such as those conducted by Skinner show that punishment is the least effective method of changing behaviour. According to Skinner, punishing brings a temporary suppression of the behaviour, but only with constant supervision and application. In repeated experiments, Skinner found that punishment, either applying a negative stimulus or taking away a positive one, effectively extinguished a subject’s behaviour, but that the behaviour returned when the punishment was discontinued. In other words, the subject would suppress the behaviour as long as the punishment was applied directly and continually, but as soon as the punishment was withdrawn for a while, the behaviour was attempted again; if there was no punishment following the attempt, the subject began to behave as before. Punishment fights a losing battle in manipulating behaviour because it works by providing negative consequences, administering penalties and taking away desirables. Access to the car or the thrill of a racy story doesn’t become less attractive for its use in punishment; its power to stimulate is simply squelched. Conversely, reinforcement proceeds to accentuate the positive. Skinner concludes that behaviour is most effectively modified by managing and modifying desires through reinforcement; he wants to replace destructive behaviours with productive ones, instead of trying to punish an already existing impulse. Behaviourism points towards a number of alternatives to punishment. Chief among these is to modify the circumstances surrounding the act. If an employee is experiencing financial problems, there might be ways a company can help alleviate pressures. For example, the company could offer financial counselling, pay advances, or low-interest loans, thereby alleviating financial difficulties without the employee having to resort to fraud. In other instances, employees engage in fraud because they feel underpaid or unappreciated. Emotions, according to Skinner, are a predisposition for people’s actions. Anger is not a behaviour, but a state of being that predisposes people to do things like yell or fight. Anger is a part of a person’s response, to the extent that an angry man is more likely to get in a shouting match with his friends. And since the emotional associations of any event are important factors in conditioning behaviour, the associations can be manipulated in conditioning the behaviour. That’s why advertisers use cute babies to sell toilet paper, the image associates the toilet paper with the emotions evoked by the baby. A company portrays its founder as a father figure for a similar reason. When managers are faced with disgruntled employees, they can modify these emotional circumstances, not just with “image” work, but with adequate compensation and recognition of workers’ accomplishments. Incentive programmes and task-related bonuses follow this principle, assuming that employees who feel challenged and rewarded by their jobs will produce more work at a higher quality and are less likely to violate the law. Another non-punitive approach drives the undesirable behaviour into extinction by preventing the expected response. This is a specialised version of modifying the circumstances. Business managers perform an extinction strategy by implementing a system of internal controls. In requiring several signatures for a transaction, for example, a bank’s procedures prevent any one employee from gaining access to money. This approach doesn’t involve reinforcements or punitive measures; it simply modifies the structure in which acts take place. The perception of internal controls provides a particularly strong deterrent to fraud because it obstructs the operant behaviour that has, heretofore, been linked with positive reinforcement. We prevent the act by blocking the expected response. Criminal behaviour is discouraged because crime doesn’t pay. A related strategy overcomes improper behaviour by encouraging the behaviour’s “opposite.” Skinner says we can condition incompatible behaviour that interferes with the person’s usual acts. Instead of punishing a child’s emotional tantrums, for example, the behaviourist rewards the child for controlling emotional outbursts; we drive the tantrums into extinction by not responding, thereby reinforcing the stoical behaviour. A destructive behaviour is offset by an incompatible productive one. Since fraud involves dishonesty, secrecy, and antagonistic behaviours, the astute manager finds ways to reward the opposite behaviours, honesty, openness, and cooperation. Of course, it’s easier to list these strategies in a few paragraphs than it is to implement them. of anger and anxiety). Whipping sessions aren’t a likely happening in most companies, but people often exhibit a similar inclination towards catalysed reactions: Whispering sessions gradually evolve into full-blown discussions that echo into the hallways; minor financial indiscretions grow into large-scale larceny. Ideally, behavioural managers could anticipate this catalysing and redirect the energies, but what if that is not an option? Though the dollar amounts (and the audacity) of some whitecollar crimes boggle the average observer’s mind, the crime remains an act of behaviour. The perpetrator might be described as “obsessive” and “megalomaniacal,” but he is still behaving in a network of actions, with his behaviour subject to operant conditioning. The monetary amounts are, in fact, misleading. Once the stakes reach a certain level, it’s not even plausible to look for explanations involving a lack of respect or appreciation. Highdollar criminals describe their machinations as a “kick” or thrill; they feel like they’re playing a game, and it’s the game of their lives. Behaviourists agree. Money is a “generalized reinforcer,” directly linked with many positive factors and often taking on a symbolic power of its own, thereby yielding a condition of strength. Skinner says, “We are automatically reinforced, apart from any particular deprivation, when we successfully control the physical world.” So, we need not be starving in order to act, especially with the sense of control— symbolic and literal—gained by acquiring money. Game-playing exerts something similar on its participants; someone who manipulates a chessboard or a deck of cards successfully gains a sense of strength over external events. We can play the game “for its own sake” because it yields the impression of strength. Imagine, then, the behavioural stroke that happens when the game’s power is combined with the power of money as a generalised reinforcer, and both of these factors are played out with real people and settings. The dealmaker is racing through a thicket of reinforcements, and the greater the risk; financial, legal, or personal; the greater the thrill. The stimulus isn’t the money as a thing in itself, any more than money for its own sake prompts the miser. In either case, the condition of strength (we might even call it “power”) feeds the behaving person; money just happens to be the reinforcer par excellence of our culture. · Encouraging behaviours incompatible with criminal activity via educational practices and the demonstration of “values” that call the criminal lifestyle, however flashy, into question. The specific measures will be particular to the crime. The actions dictate the response. But whether we’re dealing with a working mother’s credit card fraud, or Bernie Madoff’s palatial schemes, our methods can be behavioural. Fraud examiners might never eradicate crime completely, but by approaching criminal acts scientifically, we can become more successful in anticipating and preventing the acts. To successfully recognise, detect, and prevent fraud, the fraud examiner has to take into account as many variables as possible, and has to learn a great deal about how human beings, as individuals and in groups, behave. All the efforts of behavioural engineering notwithstanding, the question of behaviour finally rests with the person who behaves. No substitute exists for the conscious individual making a choice to act. And no science can predict or shape behaviour with pure accuracy. There are just too many factors at work in the network of actions. However, self-control is a behaviour that is guided by conditioning in the same way any other act would be. It does little good, for example, to tell an alcoholic, “Stop drinking; control yourself.” The command alone has little force, even if the alcoholic wants to stop drinking. Family members can suggest that the man simply throw away his bottles, but “the principal problem,” Skinner interjects, “is to get him to do it.” Family members can, however, help condition the alcoholic’s self-control by registering disapproval of drinking, reinforcing the man’s successful resistance to drink, and encouraging the man to do things incompatible with a drinking life. They can’t follow the man through every step of his life; he has to resist the impulse to sneak a sip on his own. But the behaviour of resistance is strengthened by his family members’ intervention. “Self-control” as a behaviour is shaped by “variables in the environment and the history of the individual.” Understanding why people do certain things allows us to go beyond a simplistic insistence that criminals “control themselves.” We will instead have to consider how this control can be conditioned, preventing the behaviour directly when possible, but ultimately relying on each individual having adequately absorbed the principles of self-control. When responding to suspected and detected incidents of fraud, time is critical. Management and fraud examiners must be prepared to address a number of issues in a short amount of time, sometimes under stressful conditions. Engage legal counsel, if necessary. Consider contacting the insurance providers. Is a formal investigation necessary? If a formal investigation is necessary, who will lead it? Is there a need for immediate police involvement? Is there an immediate need for legal assistance or advice? Is there a need for external support (e.g., forensics specialists)? Is there a need for additional support (e.g., access to IT facilities or a secure room, support from administration)? Is there a need to devise a media strategy to deal with the issue? Is there a need to report the issue to an external third party? Should the audit committee be informed? Because incidences of fraud are riddled with legal uncertainties, management should consult with internal and possibly external local legal counsel before making any decisions or taking any action concerning the suspected conduct. Typically, the general counsel should be made aware of any significant fraud that might result in legal action. When evidence of fraud arises, it is generally impossible to know whether the incident will result in an insurance claim, but even so, many insurance policies require timely notice of potential claims. Therefore, an organisation should consider putting its insurer on notice to preserve a potential insurance claim. When evidence of fraud arises, management should seek to preserve all relevant documents, especially those that an employee might want to hide or destroy. 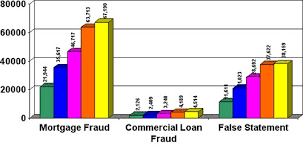 In a fraud investigation context, the term documents typically refers to, but is not limited to, contracts, invoices, correspondence, memoranda, weekly reports, presentations, telephone messages, emails, reports, performance reviews, performance improvement plans, medical records, and other written or recorded material. When evidence is misplaced, lost, or destroyed, it becomes more difficult to conduct an investigation. Thus, the response team and management must take action to preserve evidence as soon as the decision to investigate is made. There are a number of steps that management should take to preserve relevant documents. For one thing, management should work with legal counsel to issue a litigation hold to notify employees to suspend the destruction of potentially relevant records. Furthermore, management should suspend the organisation’s record retention policy temporarily to avoid a piece of evidence accidentally being destroyed. Also, management could lockdown access to emails or digital files that employees might want to conceal or destroy. Digital information can be found in virtually any type of media, and it is more fragile than tangible evidence. Therefore, employees can destroy this type of information if it is not protected properly. Often, when fraudsters become aware of an investigation, they try to destroy evidence in their computers or sabotage other evidence that could be used against them. Accordingly, it is a good idea to have IT personnel involved in this process each time the organisation decides to conduct an investigation. The failure to preserve documents could have several adverse consequences. First, the failure to preserve documents could result in the government’s questioning of the integrity of any fraud investigation. Second, documents destroyed when litigation is expected, or in progress, might give rise to claims of spoliation of evidence, which, if proven, could lead to monetary fines and sanctions, adverse inference jury instruction sanctions, or dismissal of claims or defences. Spoliation is broadly defined as the act of intentionally or negligently destroying documents relevant to litigation. In today’s digital environment, digital spoliation is a major concern for organisations involved in litigation. When compared to the spoliation of tangible documents, digital spoliation carries additional risks. Management often lacks sufficient knowledge of the inventory of digital information, and electronic data might only be available for an evanescent time. Additional concerns include business practices designed to free up storage space by deleting digital information and the fact that electronic data can reside in numerous locations, as well as the fact that identifying relevant electronic data within today’s large and complex data systems can be challenging and costly. Management and the response team should identify whom to inform. Depending on the facts, several departments should be interested in fraud, including legal, human resources, internal audit, security, risk management, and loss prevention or security. When responding to an allegation of fraud, it is important to consider the interests of each of these departments. This is necessary to ensure that designated employees are notified immediately to enable a prompt response. Information about incidences, however, should be shared only on a need-to-know basis. 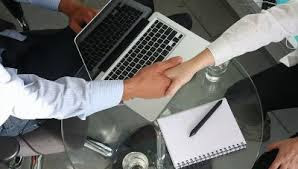 Human resources (HR) personnel address issues involving unfair treatment, discrimination, harassment, substance abuse, or concerns about corporate policies. Therefore, the HR department should be informed of fraud that affects any such areas. Both the HR and legal departments should be involved to ensure that the right people receive information in a timely manner. Also, other departments, such as loss prevention and risk management, audit, and security might need to be involved. Although the development of information distribution rules requires the participation of several departments, it is best to have these rules set before investigation protocols are in place. Another department that needs to be involved is the information technology (IT) department. The IT department might need to be part of an investigation to safeguard data until it can be analysed. IT personnel can also help identify what data are available and where, and they might be able to function as forensic investigators if licensed to do so. Again, management must restrict access to certain pieces of information on a need-to-know basis. Usually, when an allegation of fraud arises, there are not enough known and verified facts to begin a formal investigation; therefore, management and the response team should conduct an initial assessment to determine if an investigation is needed and what steps, if any, are required to respond in an appropriate manner. This is perhaps the most critical question that management must answer when an allegation of fraud arises. An initial assessment should be quick and, unless complications arise, completed within a few days. Ideally, action should be taken within three days of learning about an incident. Identify the status of the fraud (e.g., When did it begin? Was it internal or external? Is it still occurring? If it is no longer occurring, when did it stop?). Identify potential claims and offences. Review any applicable policies and procedures. Document the reasons for the decision. Next, those responsible should gain an understanding of all of the circumstances leading up to the current situation. Often, the context is necessary to determine the best approach to dealing with a tip or suspicion, and it can provide clues that are helpful in other areas. Those involved in the initial assessment must also review any applicable internal controls and organisational policies, including any anti-fraud auditing and testing policies and procedures, to determine the best method and processes for continuing the investigation. Who is the subject of the allegation, and what is his relationship to the company? When did the alleged misconduct occur, and how often did it occur? What was the business purpose of the activity related to the allegation? How serious is the allegation? What levels of employees are alleged to be involved, if any, in the misconduct (i.e., officers, directors, or managers)? What individuals might have pertinent information about the matter that would tend to support or refute the complainant’s position, and what facts do these individuals purportedly know? Did any third parties receive any direct or indirect benefit from the misconduct, and if so, who are they? If a third party is involved, is the third party a government official? How was the matter recorded on the company’s books and records, if applicable? Can it be determined if the person in question acted with fraudulent intent? Is it possible that the issue might be larger than expected? Were there any whistleblowers, and if so, how should they be dealt with? What measures should the company take to document how the initial evidence of wrongdoing was handled? Is the government already involved, and if not, is it likely that the government will become involved? Is it likely that the matter will have significant negative impact on shareholder value? These questions are important because the response should be proportional to the potential scale of the fraud in terms of its value, frequency, potential damage, the individuals involved, the number of people involved, and so on. In addition, the decision as to the appropriate response might be influenced by other factors. As with any business decision, the cost of conducting the investigation must be considered, and management might also consider whether an investigation will interrupt business activity. If the evidence came in through a tip from an identified source, those responsible should contact the source to find out additional information and confirm the source’s willingness to help throughout the investigation. When contacting the source, the interviewer should encourage the complainant to provide a narrative description of the report. After the source provides the narrative, the interviewer should ask clarifying questions and then summarise the key points. How did the individual get the information? Who were the key individuals involved? When did the alleged events occur (e.g., dates, times, and locations)? What are the details (e.g., who, what, when, where, why, and how much) of the allegations? What are the dates (or period) of the key events? What evidence exists to corroborate the alleged events, where is the evidence located, and how can the evidence be accessed? What witnesses can corroborate the alleged events? Which individuals might have pertinent information about the matter that would tend to support or refute the complainant’s position, and what facts do these individuals purportedly know? What was the motivation behind the alleged events? Why were the alleged actions improper? If the scheme is ongoing, do the subjects know of the complainant’s report? What is the complainant’s motivation for making the report (e.g., What prompted you to report this?)? When interviewing the source, the interviewer should seek to determine if there is any reason to suspect the complainant’s credibility. Also, if there are any weaknesses in the complainant’s information, the interviewer should ask the complainant to explain what he expects the subject would say in defence of the allegations and ask the complainant to explain why such a response is not sufficient to dispose of the matter. Additionally, the interviewer should ask the source what he wants the organisation to do about the complaint. The response to such an inquiry will help the team focus its efforts. Those responsible should interview key individuals for information about the suspicious conduct and the subject(s). Interviewing individuals with personal knowledge is critical. Also, they should interview witnesses as early as possible because it will limit the harm arising from loss of memory, witnesses becoming unavailable, and inadvertent loss or destruction of key evidence. Those responsible should review relevant documents and files, which might include personnel files, the organisation’s employee handbook, accounting records, vendor activity reports, budget reports, fixed asset records, expense reimbursements records, leasing documents, rental agreements, payroll records, purchasing requisitions, purchase contracts, inventory records, shipping/receiving reports, emails, telephone records, and so on. Obtaining and reviewing these documents will assist in understanding the chronology of events and might put the responsible parties on notice as to certain strengths or weaknesses of the investigation. To avoid any real or perceived downplay of the matter’s significance and to avoid any attempts at wilful blindness, those responsible should document their actions and findings. In addition, management must document its decisions and the reasons behind them. Thus, if management decides against conducting an investigation, it must document the reasons why. Again, management should document the organisation’s initial response in an incident report log that serves as a record of the organisation’s response efforts. Once a suspicion of fraud arises, the issue should be recorded and detailed in the log. As the issue progresses, the log should be modified and, ultimately, it should contain details of actions taken and conclusions reached. The incident report log should contain all information relevant to or created during the initial response that is used to support management’s decision making. Bankruptcy fraud can take on many forms. 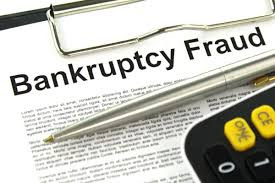 The general elements of a bankruptcy fraud are that crimes must have been committed during the pendency of a bankruptcy proceeding, with the defendant’s knowledge, and with a fraudulent intent to defeat the bankruptcy laws. The following are some common bankruptcy schemes. 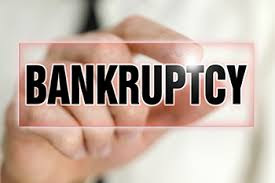 The most common type of bankruptcy fraud schemes involves the concealment of assets rightfully belonging to the debtor’s estate to avoid forfeiting the assets in bankruptcy. In these schemes, concealed assets can include cash, consumer property, houses, and interests in partnerships and corporations, as well as lawsuits in which the debtor is a plaintiff. Assets that may be hidden also include the debtor’s books and records. A bustout is a planned and fraudulent bankruptcy. It can take many different forms, but the basic approach is for an apparently legitimate business to order large quantities of goods on credit, and then dispose of those goods through legitimate or illegitimate channels. Since the point of the bustout scheme is to quickly resell the goods for cash, the fraudster is much more likely to purchase more liquid items like inventory than real estate, insurance policies, or services. The perpetrator then closes shop, absconding with the proceeds and leaving the suppliers unpaid. The debtor might then go into bankruptcy. Often, by this point the debtor has already made false accounting entries or taken other steps to conceal the assets or make the sales look legitimate. Other times, debtors simply flee the jurisdiction or do not show up at the proceedings. They are planned from the beginning. Sometimes organised crime is involved. Credit is established with numerous vendors; prompt payments are made to all vendors; vendors feel comfortable in dealings, thereby extending existing credit lines. Perpetrators build inventory by ordering everything they can from vendors; they promise to pay soon and order more merchandise. Perpetrators sell out inventory at deep discount or move it before vendors can take possession of it.Business fails or closes up, files bankruptcy, or creditors beat them to it with involuntary bankruptcy. A business relationship based principally on trust. Creditors are willing to offer extended terms for payment, hold cheques, or take post-dated cheques. This makes them vulnerable. Buyers with a history of purchasing goods for an unreasonable discount. A large number of bank accounts, indicating a possible kiting scheme. The perpetrator occasionally pays some of his creditors with funds generated by floating cheques between bank accounts. To help prevent this type of bankruptcy fraud, lenders and suppliers should evaluate potential customers carefully prior to extending credit by performing due diligence and obtaining detailed background information. Lenders and suppliers should at times visit their customers’ locations to verify the legitimacy of the businesses. Multiple filing schemes occur when the same debtor files for bankruptcy several times, using either false information or real information in several different jurisdictions. Generally, debtors will make multiple filings to obtain an automatic stay, which prevents creditors from continuing attempts to collect debts from the petitioner. The automatic stay occurs once the bankruptcy case has been commenced. Usually, in these schemes, the petitions are dismissed for failure to file the required statements or to appear for examination. False statements on petitions are common, including a denial that the debtor has filed any previous petition. In a credit card bustout scheme, the debtor intentionally runs up a number of credit cards to their limit and files for bankruptcy with no intent to repay. The credit card debts might include purchases for jewellery, luxury items, or other personal property that are not disclosed on the schedules. Credit card debt also might include large cash advances taken filing the bankruptcy petition. Bankruptcy petitions are sometimes filed using forged documents, and often, the filings are made using stolen identities, usually as part of a larger scheme using an assumed identity. If someone files for bankruptcy using a stolen identity, it can take years to correct the credit records of the person whose identity was stolen. Alternatively, a debtor may file for bankruptcy using a name obtained from obituary notices. These schemes involve companies that file bankruptcy petitions on behalf of others. 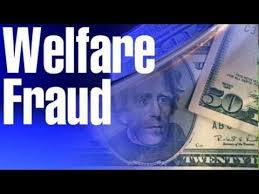 Typically, these entities target low-income and unsuspecting clients, and to obtain cooperation, they might promise to erase the person’s poor credit record or offer some other bogus financial service. Often, in these schemes, the filing entity has held itself out to be a renter’s rights group and has not told the client how it will accomplish what it has promised. And in some cases, the debtor is not even aware of the filing or the effect that a bankruptcy will have on his credit rating. Additionally, to carry out these schemes, the petition mill might file false documents for debtors with deliberately wrong government identification numbers or other incorrect information. The petitions filed in these schemes often contain numerous false statements. Many jurisdictions recognise a distinction between secured and unsecured creditors during bankruptcy proceedings. A secured creditor is one that has a secured interest in some of the debtor’s property, meaning that if the debtor defaults on payments to the creditor, the creditor may possess or liquidate the secured property to satisfy the debt. Conversely, an unsecured creditor is one that does not have a secured interest in any of the debtor’s assets. In jurisdictions that recognise such a distinction, the secured creditors are often entitled to payment resulting from the sale of the secured property before unsecured creditors in bankruptcy proceedings. The most common example of a secured interest occurs when a lender finances a debtor’s purchase of a particular property (e.g., a home or vehicle) and, as part of the debt agreement, takes a collateral interest in the financed property. The claim is considered secured to the extent of the value of the property. When the debt is undersecured (the amount of the note is greater than the value of the security interest), the debt will be considered both unsecured and secured. For example, if a note for $500 issecured by property with a value of $400, there is a secured claim for $400 and an unsecured claim for $100. The method of establishing oneself as a secured creditor varies from jurisdiction to jurisdiction. There might be a filing requirement to register a financing statement with a public registry or a government agency. 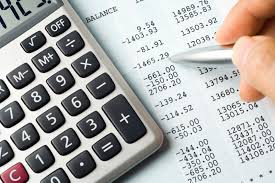 Similar to deductions, tax credits are an amount subtracted from a person’s or entity’s tax liability, but are not necessarily tied to an expense. Additionally, some tax credits might result in a tax refund, if the credits are greater than the person’s total tax liability. For instance, a government might give tax credits to individuals with low income to reduce their tax liability. Tax credits are often used to encourage certain behaviour, such as taxing carbon emissions by industrial companies. Taxpayers might attempt to evade taxes by misrepresenting their eligibility for a tax credit. Consumption taxes are those collected from the proceeds of the sale of goods or services. Excise tax: a tax on a narrow class of goods or services (e.g., tobacco or gasoline), usually assessed one time (per jurisdiction) at the manufacturer or wholesaler level. No tax deficiency: The defendant can establish that there is no deficiency. If there is no deficiency, there is no tax liability. This is generally the best defence, if available, because several other defences might negate wilfulness and remove criminal liability, but they do not necessarily eliminate tax liability, which may include interest and penalties. Lack of wilfulness: Again, most criminal tax offences require wilful violations, but even if successfully raised, this defence might leave the defendant subject to non-criminal penalties. Avoidance, not evasion: The taxpayer might argue that it engaged in legal means of lowering its tax bill through legitimate deductions, credits, and shelters. Establishing that the taxpayer was engaging in tax avoidance and not evasion provides a defence to tax fraud. Mental illness and incapacity: Certain mental illnesses and incapacitating conditions will negate criminal intent. Generally, some defences will be ineffective against charges for tax tax evasion and tax avoidance crimes. Taxes owed as a result of tax evasion and tax avoidance typically survive the death of the taxpayer, meaning the deceased’s estate will still be liable, and they may not be discharged in bankruptcy proceedings. If a person commits each element of a tax evasion and tax avoidance offence, amending fraudulent information held by the government will not generally relieve the taxpayer of criminal liability. Additionally, many jurisdictions extend or eliminate the statute of limitations or period for prescriptions for tax evasion and tax avoidance. Tax evasion is another class of fraudulent acts against the government, typically involving false claims or concealed information. Tax evasion refers to any fraudulent actions that a taxpayer commits to avoid reporting or paying his taxes. Tax evasion should not be confused with tax avoidance. Tax avoidance is a legal means of lowering one’s tax bill by using applicable tax provisions. The intent of the taxpayer to wrongly file a tax return or provide other false tax information will determine the difference between tax evasion and tax avoidance. Tax evasion often transcends national boundaries due to the investigative and jurisdictional limits countries for revenue authorities. Often, tax evasion is accomplished through tax shelters, tax havens, and secrecy jurisdictions. Tax shelters are investments that are designed to yield a tax benefit to the investor. Such investments are made to produce tax write-offs, generate deductions, or convert ordinary income into capital gains taxed at a lower rate. Tax shelters might be legal or illegal; they are generally aimed at avoidance, although they might, on occasion, cross the line into evasion if they take abusive forms. An abusive shelter is one that involves artificial transactions with little or no economic reality. For example, abusive tax shelters might artificially inflate the value of donations to charity; falsely identify an asset for business use that is mainly intended for pleasure; claim excess depreciation or depletion; or engage in the cross-leasing of luxury items such as automobiles, boats, vacation homes, and aircrafts. In contrast, tax havens are countries that offer favourable tax treatment to investments. 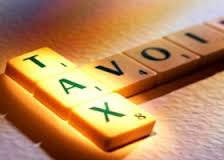 Tax havens might be legal or illegal, depending on the nationality and the residence of the individual and the tax code of the country where the activity takes place. Often, individuals try to skirt their tax responsibilities by hiding their assets abroad in secrecy jurisdictions. A secrecy jurisdiction is a country that has enacted laws that afford financial secrecy. Such jurisdictions may provide financial secrecy through domestic bank secrecy laws that bar insight by outsiders or through blocking statutes that prevent the disclosure, copying, inspection, or removal of documents located in the host country. Moreover, in some secrecy jurisdictions, legal depositions may not be taken on national territory in connection with judicial proceedings being undertaken abroad. Secrecy jurisdictions are often relatively small countries whose customers are largely foreign persons.